Skype users will no longer be able to use their Facebook credentials to login to Microsoft's communication platform come January. 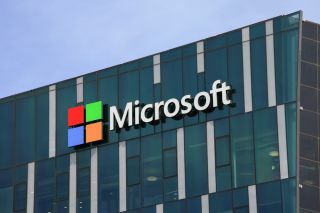 Microsoft has announced that it will no longer allow Skype users to login to the communication platform using their Facebook credentials as the company moves towards a single Windows sign-in. Support for the feature will end on January 10th of next year and from then on, users will be required to login with a Microsoft account. While inconvenient for those currently using their Facebook credentials to access Skype, the move will help push a single sign-in experience across all of Microsoft's programs and services. Those using the latest version of the messaging app on Windows 10, Mac, Linux or on either iOS or Android are already unable to access this feature and will not be affected by the change. However, requiring users to have a Microsoft account may slow Skype's growth further than it already is by removing a simple and effective way for new users to get started on the platform. Despite the fact Microsoft boasts that the communication platform has 300 million users, this number has changed very little since 2013 and it is clear that Skype's user base in not expanding as consumers turn to other competing services. The company's decision to remove the option to login using your Facebook account could be about more than offering its users a single sign-in experience and now that the social network offers a similar service via its Messenger app, Microsoft may be trying to distance itself and its own competing platform from Facebook. For those still using their Facebook details to login to Skype, it is highly recommended that you switch to a Microsoft account as soon as possible to prevent losing access to your existing Skype account.